Just realized I had not posted some new cues to my collection. 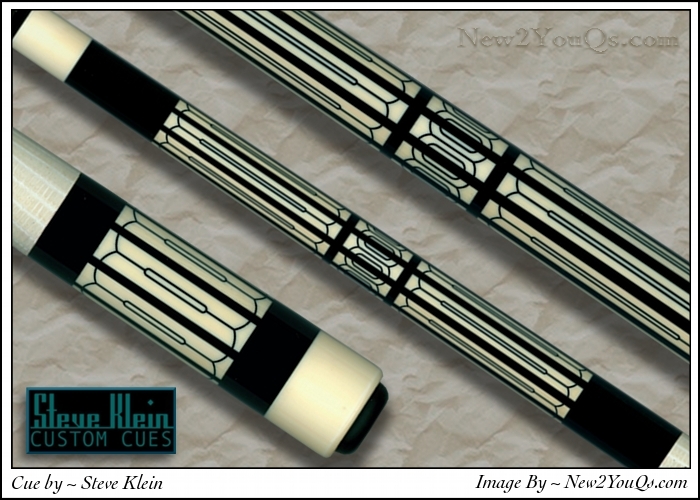 I picked up Steve Klein's cue he submitted to the ACA People's Choice booth at this year's SBE. I fell in love with the design as soon as I saw it... caught my eye from several booths away. I have Steve add the rings, below are before and after pics. The ring design came from the engraving design in the center of the ivory boxes. Great choice on adding the rings! Agree, that cue needed rings. Nice choice.